Congratulations to another 8 divers who successfully completed their Raid 20 Openwater Course. Thanks to Blair for assisting on the dives. We encountered schools of yellow stripped mullet, snapper and an eagle ray. Looking forward to seeing some of you guys on the upcoming Advanced Course in the Bay of Islands in July, or Fiji in August. 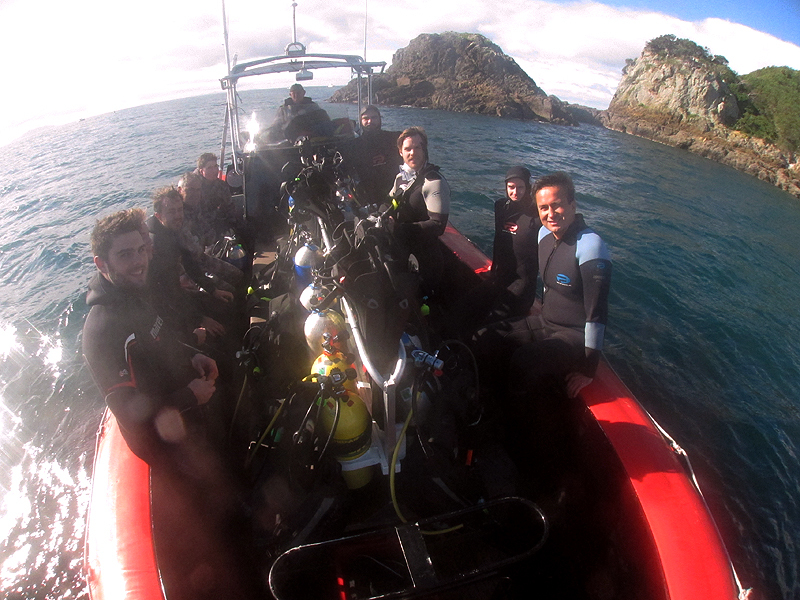 This entry was posted in Courses, Dive Trips and tagged Tiri Tiri Island. Bookmark the permalink.